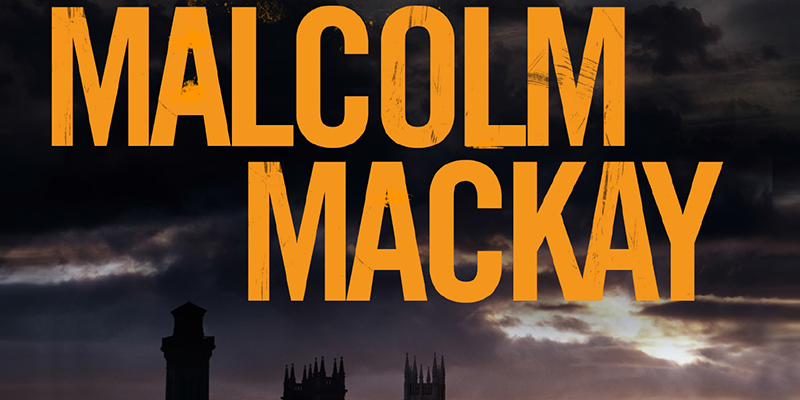 August 2014, and Malcolm Mackay's fourth novel, The Night the Rich Men Burned, is just out. We caught up with him to ask about his inspiration for his writing and to dig into the lives of the shady characters of the Glasgow Trilogy. Pan Mac: The Glasgow Trilogy is made up of The Necessary Death of Lewis Winter, How a Gunman Says Goodbye and The Sudden Arrival of Violence. Where did the idea for the trilogy come from? Malcolm Mackay: It started out with the idea of Calum as a character – a young hitman hiding his work from the world – and it grew out from there quite quickly. I didn’t really know when I started that it would be a trilogy but I knew I wanted it to be more than one book – I knew there was more than one story within it. PM: Your style is so distinctive; who were the main authors that influenced you? MM: I first fell in love with crime fiction through classic American authors like Jim Thompson, Dashiell Hammett, Raymond Chandler and writers like that. It was that sort of pace of storytelling – the books look incredibly short but they’ve got so much in them because they’re so economical and so quick with the pace of developing characters and developing their stories. I really wanted to do something that had that same sense of pace about it. MM: Yeah, you want to have a style that feels like it fits with the characters, the people you’re presenting in the story. Mine are characters that have so much hidden ... they’re hiding bits of themselves from other people so that kind of style I think – I hope – works with those people. PM: Are there any Scottish writers you admire? MM: Ian Rankin, Val McDermid – they’ve done such an amazing job of establishing great characters over long series. I guess to an extent they’ve established Scottish crime fiction as a sort of genre in its own right. The Scottish scene is incredibly strong and its incredibly varied. People talk about tartan noir as though books that Christopher Brookmyre writes are the same as the books that Val McDermid writes when there’s clearly such a big difference between different kinds of Scottish crime fiction. PM: Your characters don’t live by most people’s moral codes – do you like any of them? MM: I find myself feeling more sympathetic to some than to others. Not so much Calum, but characters like Frank (from How Gunman Says Goodbye) who I think is more realistic about where he is and the kind of person he is. You end up liking the characters that are the most entertaining to write. They are sometimes quite dreadful but always an enormous amount of fun to write and experiment with. You’re often wanting to go back and work with those characters again. PM: How do you come up with your brilliant titles? MM: Some of them turn up fully formed and other ones go through various titles before you settle on one that works, they evolve over time before you get to a final draft. For example with the third book, The Sudden Arrival of Violence, that was the title from day one of the first draft and I stuck with it all the way through. But with the new book, the fourth book [The Night the Rich Men Burned], that title came right at the end of the last draft. I wanted to have titles that were unique to the books and stood out a little bit. PM: Are you reading anything at the moment? MM: Right now I am reading a Walking Dead novel. I watched the TV show and I hadn’t realized there were novels of it so I thought I’d have a read of that. Before that I was reading crime and before that a fantasy novel by Anthony Ryan. PM: And how about writing? MM: I’m stumbling through a first draft of something at the moment which will be another Glasgow novel. It’s disconnected from the other ones to an extent in that it’s earlier in the timeline. I kind of feel the need to be always writing. I don’t like taking days off because it takes so long to get back into the routine of it, the rhythm of it.